The announcements are an endorsement of recent moves to bolster the capability of certification bodies in the region, with auditors at all three new Chinese GWO sites having participated in March's auditor workshop. 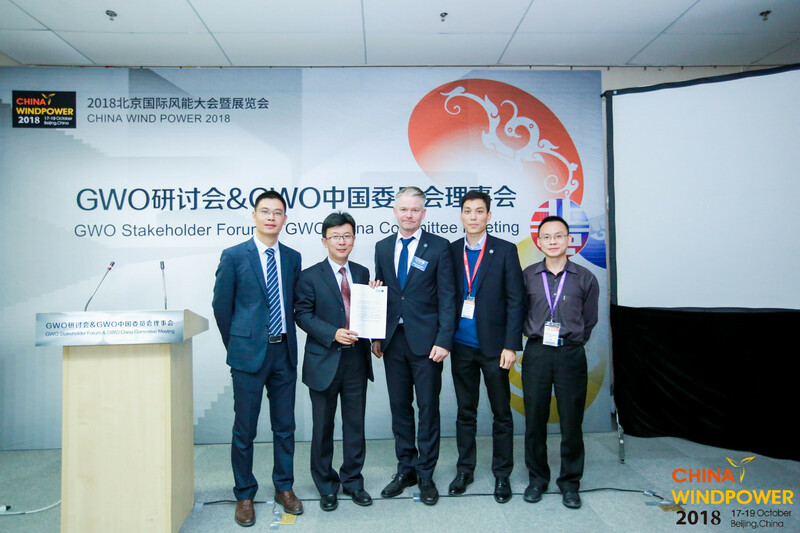 The news emerged at GWO's Stakeholder Forum at China Wind Power 2018 and included moves by GWO members including Envision Energy and Goldwind as well as independent training providers. Envision Energy unveiled its plans for a GWO certified in-house training facility, certified by China General Certification which the company presented to stakeholders with a case study of the project so far. Goldwind also presented its work to build China's first GWO Sea Survival training center, a facility that will be revealed at a public event on 10 november 2018, with the aim of becoming GWO certified shortly thereafter by LRQA. Following the Star Wind Energy/Guodian United Power training centre opening earlier in the week, there are now strong indications GWO training is on a rapid path to growth in China. During the event, GEs training manager Yongzhi Wu shared his experience of undergoing an audit, and Jakob Lau Holst, CEO of Global Wind Organisation, said the increased awareness amongst certification bodies has been a key enabler. "We are pleased the programme of auditor training has begun to produce results so quickly. The three certification bodies responsible for these new sites all participated at GWOs auditor training event held at the GE Renewable Energy training center in Shenyang in March earlier this year." "Participants at the Stakeholder Forum exhibited a great willingness to share experiences and learn from good practice of each other. The spirit of the event bodes well for the safety of technicians in the wind industry in China, where recognised safety training is one of many initiatiaves to reach new levels of HSE performance."